This week, golf clap for your favorite PGA player, race your rubber duck in Noblesville and more. Be sure to check out our online calendar for even more Hamilton County happenings! 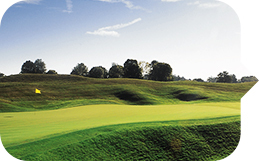 The BMW Championship is a professional golf tournament and the third of four FedExCup Playoff events on the PGA TOUR schedule. The field is limited, with only the top 70 FedExCup points leaders eligible to play. 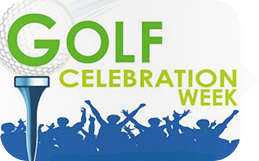 The BMW Championship is back, and Carmel is celebrating with a week of festivities, including social media contests, putt putt golf, Late Night on Main, Happy Hour at Clay Terrace and more. 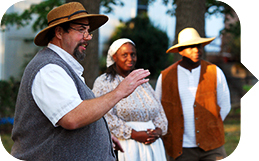 Learn more about Westfield’s settlers and involvement with the Underground Railroad on this 90 minute living history walking tour. 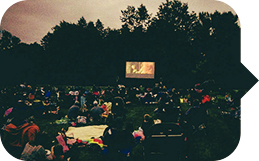 Watch “Zootopia” in Fishers’ Nickel Plate District on Sept. 9 and “The Jungle Book” at Noblesville’s Forest Park on Sept. 10. The all-day White River Celebration includes downtown dining, river activities, live music and a wine and beer garden. 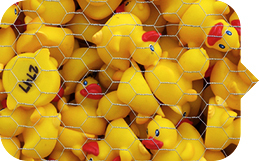 Duck race starts at 5 p.m. Wear white and come ready to light up the night. 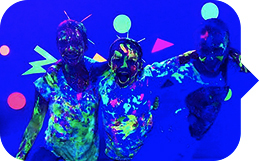 Dance the night away with a DJ, face painting, graffiti wall and neon splash zone. First 1,000 people get a glow stick.